New Family Addition – It’s a Datsun! – Northwind Composites, L.L.C. Home Uncategorized New Family Addition – It’s a Datsun! New Family Addition – It’s a Datsun! It has been two months since the newest addition to the family and we felt a proper introduction was in order. Lee and Hannah have a new track car. For several years Lee has been supporting and racing along side all makes and models but has most directly supported the Nissan community. An opportunity came up to add a beautifully well built car to the stable. Of course it came up just after caging the Legacy. However, Hannah twisted Lee’s arm… and well… here we are – or at least that’s how he’ll tell it, but we know better. 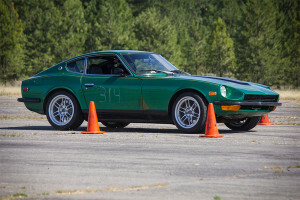 It is a Datsun 73′ 240Z with an SR20DET swap and 285whp, dyno’d. It is complimented with fun names like OS Giken, Enkei, Wilwood, etc. The car is an absolute beast and has several FTD’s to it’s name via the previous owner. Lee is already consistently in the top 5 in raw, missing FTD by less than a second on average. However, with no power steering or ABS, it’s a handful to learn to say the least. So what does this mean? 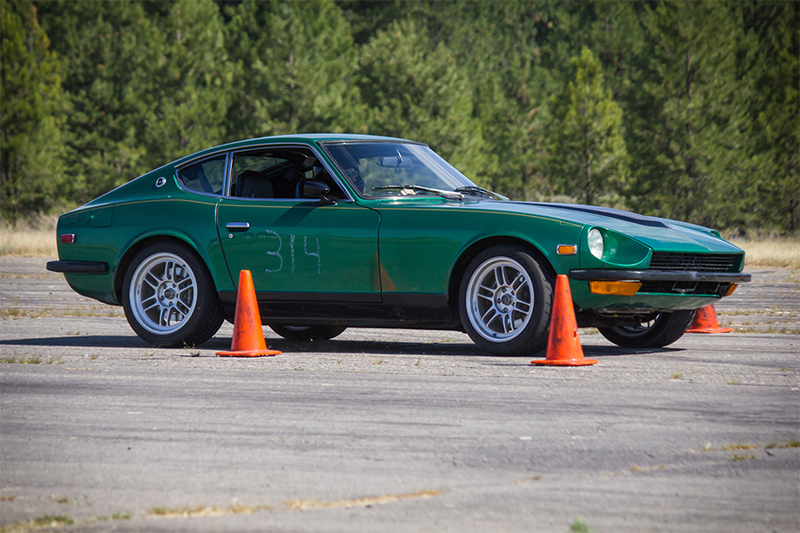 For the Skidmores it means that Hannah gets to race the Legacy and Lee gets to race the Z. Okay, so what does this mean for you? It means that in the coming months there will be new additional Nissan specific performance products. Lee already has several R&D projects in mind once he wraps up the existing open projects. We’ll keep you posted as more products come on line.